A bill must be agreed to by both chambers in the same form before it can be presented to the President. (Notably, the U.S. Constitution requires that any bill with revenue provisions must be a House bill. With this exception, it does not matter if a bill is passed first by the Senate or if it is passed first by the House.) Once one chamber passes a bill, it is engrossed – that is, prepared in official form – and then sent (or messaged) to the other chamber. In a majority of cases, the second chamber simply agrees to the exact text passed by the first chamber, in which case Congress has then completed its action on the bill. In some cases, the second chamber instead decides to amend the first chamber’s bill. 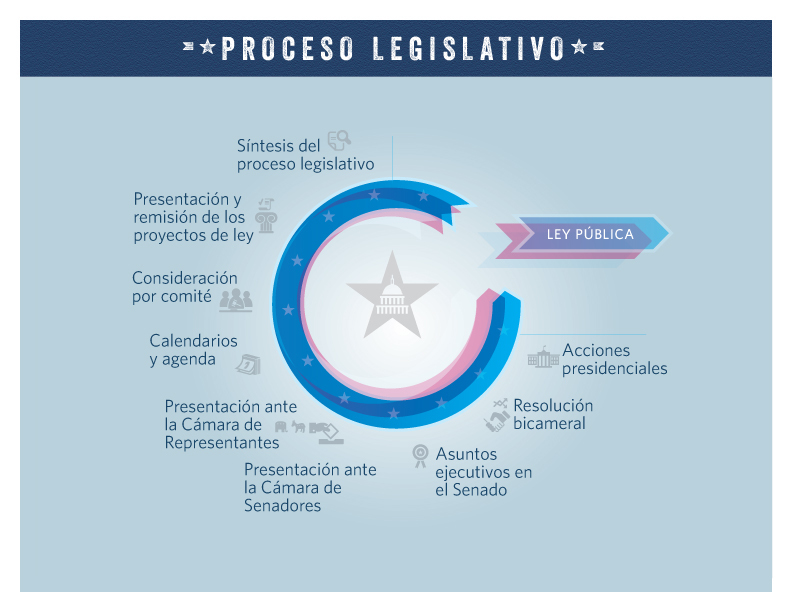 The second chamber is often proposing, in effect, an alternative version of the bill, which may differ from the bill in minor or substantial ways. In some circumstances, the alternative may even embody a proposal on a different topic. Once the second chamber agrees to this proposed alternative to the bill, it may send the proposal back to the first chamber for possible consideration and a vote. The receiving chamber may also respond with a counterproposal, and so on. This back-and-forth trading of proposals by the House and Senate is called amendment exchange, or sometimes simply ping-pong. For the bill to have a chance of becoming law, one chamber must eventually agree to the proposal that the other chamber sent it. Sometimes, the resolution of differences between the House and Senate proposals may instead be accomplished through a conference committee. A conference committee is a temporary committee formed in relation to a specific bill; its task is to negotiate a proposal that can be agreed to by both chambers. Each conference committee is made up of members of the House and members of the Senate – called conferees – who are drawn primarily from the committees with jurisdiction over the bill. 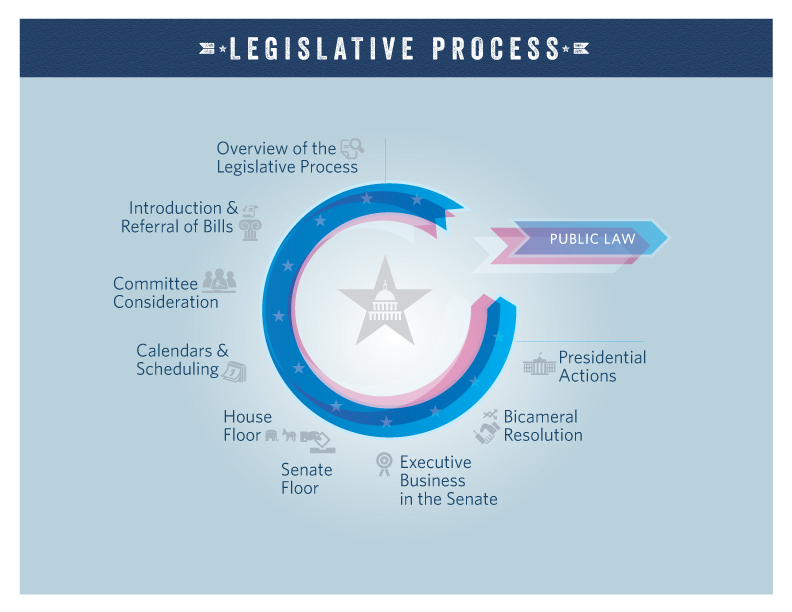 Through a combination of informal negotiations and formal meetings, the conferees try to hammer out a compromise, drawing on elements of the competing proposals that were adopted by each chamber. If a proposal can garner the support of a majority of the House conferees, and also separately, a majority of the Senate conferees, then the negotiated proposal is embodied in a conference report. This conference report can then be considered in one chamber, and, if agreed to, then considered in the other chamber. Regardless of which chamber goes first, the conference report is considered under sets of procedures used for other business. For example, note that reaching a vote on a conference report in the Senate may require a cloture process. For the bill to move to the next step in becoming law requires both chambers to agree to the conference report without changes.